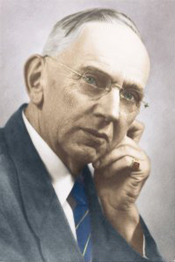 Edgar Cayce “the Sleeping Prophet” was a devout Christian who discovered while under hypnosis for a laryngitis-like condition that he could provide healing information for himself and others. Al Layne, the hypnotist, had an interest in exploring this ability of Cayce to give healing information to people with aliments and convinced Cayce to give local people readings, guided by him under hypnosis. Cayce reluctantly agreed only if the readings would be free. From this his work grew, first through local buzz, and then mailed requests for readings began to come in. Through the years as Cayce became more convinced that his gift was valid and truly helping others he began to work at it more and more asking for freewill donations. His wife Gertrude took over leading him into the trance-state and they hired a stenographer, Gladys Davis, to record every reading. The "readings" described his ability as his own Higher Self tuning into the subconscious and superconscious minds of those he was reading for, and his Higher Self was also able to consult the Akashic Records for individuals and for humankind in general. Cayce was not a medium, although he passed through the disincarnate realms to reach the hall where the akashic records were kept. From 1910 until Cayce's death in 1945, a copy of each reading was kept and filed. This grew to over 14,000 readings including health readings, life readings, and readings on reincarnation, past lives, psychic and spiritual development, earth-change predictions, other predictions, the life of Jesus, Atlantis, early human history and geography, and theology. Read a daily reading. Interact with other ARE enthusiasts. Links to other facebook pages on ARE Health Center and Spa, Atlantic University, ARE Catalogue, etc. Amazon Synopsis: Edgar Cayce has often been called "the sleeping prophet", his unique information being spoken while he was in a sleeplike state. But Cayce also lectured while conscious. This book is a collection of some of those lectures on topics such as "What is the Soul?,"" Man’s Relationship to God," "The Aura," and "The First Ten Minutes after Death," Along with Cayce’s fascinating insights, editor Richard Peterson provides a perspective on what was happening in Cayce’s life as well as in the world at the time of the lecture. With a foreward by Charles Thomas Cayce, Edgar Cayce’s own grandson, this book is a unique and fascinating look into the world of America’s most documented mystic. Amazon Synopsis: Only recently discovered, this new memoir delivers Cayce's important message to the world at crucial time: the dawn of the twenty-first century. In this personal, moving story, readers learn how Cayce felt about his amazing powers; the angelic presence that told him he would become a healer to millions; his extraordinary ability as a child to learn his school lessons simply by sleeping on his books. We're also given a "behind the scenes" glimpse at his many psychic readings. Throughout his life, Cayce was the voice people turned to for advice on issues as diverse as health and world issues. Now, Cayce speaks once more on these topics and delivers his ultimate message to humanity for the first time. My Life as a Seer brings to life the emotional frustrations, motivations, fears, and visions of the century's premier spiritualist. Amazon Synopsis: Cayce takes us to the wondrous metaphysical realms of God-consciousness and Cosmic-consciousness. He compares our human minds with the Infinite Mind, and explains how the two may know each other and work together to solve all of life’s problems. In this fascinating book, the Cayce readings teach us that “thoughts are things,” that may become “crimes or miracles” in our lives, and explains how by changing our thinking patterns, we can change our lives forever. Cayce also clarifies why the dreaming mind is so much more important to us than we realize. And in one special chapter you’ll learn how our minds are our builder, capable of taking us anywhere we want to go—as the old saying goes: as we think, so we become. Amazon Synopsis: Beyond our five senses lies a powerful, though often unused, sixth sense. Edgar Cayce’s renowned discourses include the best insights and tips on how to awaken and develop your latent psychic abilities. He teaches you how to apply these skills in your daily life for a better, more illuminated life. He explains how to see beyond our limited eyes, hear beyond our limited ears, and know beyond our physical access and education. 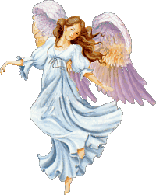 Realize your full potential by developing your languishing sixth sense and psychic abilities. Amazon Synopsis: This is a handy, pocketsize companion of Cayce affirmations. Chances are you'll find yourself sharing these hopeful words with others.